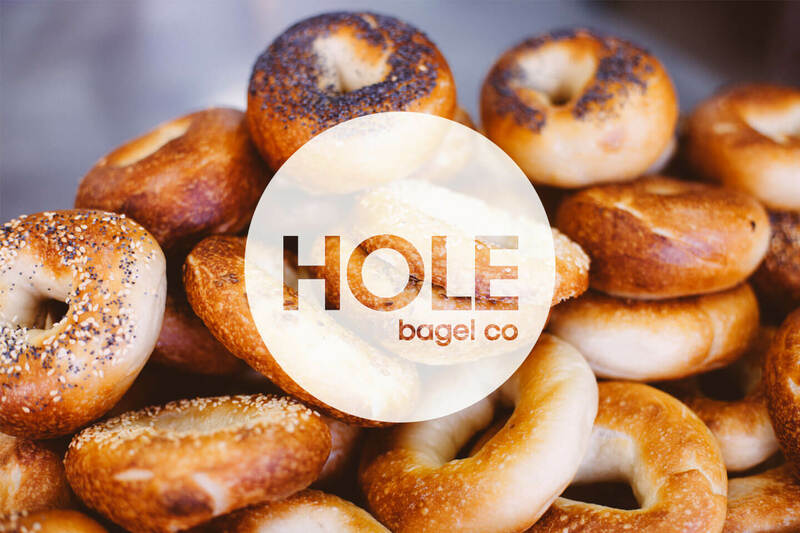 The Hole Bagel Co is a family run bagel business located on the Gold Coast. Our love affair with bagels began in 1998, after we first discovered them on Brick Lane, in the East End of London. It was here that we sampled our first ever bagel and we instantly became addicted to the chewy goodness that can only come from a traditionally boiled and baked bagel. On our return to the Gold Coast in 2010, we were surprised to find how difficult it was to find an authentic bagel in our local area. From that time on, we made it our mission to produce the perfect bagel. It was the start of our bagel making journey. To make our bagels, we follow a traditional method, where every bagel is hand rolled, slow proved, boiled and baked with love. All of our bagels are hand rolled and shaped with love, giving them an individuality all of their own. Once rolled, our bagels are slow proved overnight to develop their distinctive flavour profile. Our bagels are boiled in water, barley malt extract syrup and salt. This gives them the perfect chewiness and golden brown colouring. After the boil, our bagels are then baked to perfection. 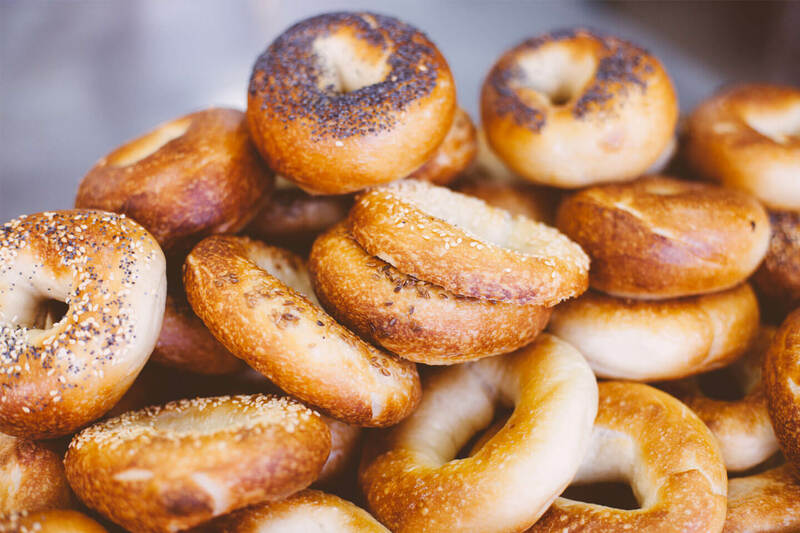 We sell our full range of bagels to take home, as well as schmears and made to order bagels, with our ever changing range of super tasty fillings. Ask us about catering options today. If you would like to know more about wholesale, catering, or any of our products, please get in touch.